If you contact us through email, it means that we receive an email from you, which may include the information you provide us, your email address and other metadata. The correspondence will be kept for a maximum of twelve months, for customer service purposes. The information submitted through email will NOT be used for marketing purposes. Our email is not encrypted, so please do not provide us with sensitive personal data through email. SlotsCasino.co.uk uses Google Analytics. Under the GDPR, Google is considered the Data Processor of the Google Analytics data. Please check Google’s page about privacy compliance and the Google Analytics privacy and security page for more information. 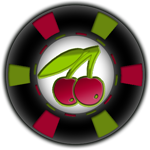 Google Analytics works with a tracking code that is added to every page on SlotsCasino.co.uk. Every visitor to the website is registered with a unique ID. This way Google Analytics can provide us with insight. Those insights include, but are not limited to, the number of unique visitors that are on the site, and how many users return. Google Analytics uses both cookies, IP addresses, device identifiers, and client identifiers. User and event data is stored by Google Analytics for 26 months. Website visitors who want to prevent their data from being used by Google Analytics, can opt out of Google Analytics by installing the special opt-out plugin. Websites get sometimes attacked or have software errors. Therefore it is important to track problems, so we can fix the problems. This tracking is done with server logs, those server logs can include IP adresses and user-agents. Those server logs are saved on the server, which is owned and operated by a third party webhoster. This data is automatically deleted after one month. You have a number of rights in relation to your personal data. More information about your rights can be found in the General Data Protection Regulations. To exercise your rights you may contact us as by sending an email. Please check the Contact Us page for more information about how to contact us.